who was transformed into a chaos demon. of Quelaag, and has a unique speckled design. Blade wielder erodes along with opponents. Bleed build-up is 36 per strike. Drains 20 HP per strike from the wielder. Critical attacks don't trigger this drain. One-handed strong attack is replaced by a delayed left-to-right horizontal slash. Two-handed strong attack is a delayed vertical chop. The blade being held back then released by the left hand provides leverage to create a very forceful chop that can knock down opponents. Also consumes a lot of stamina. 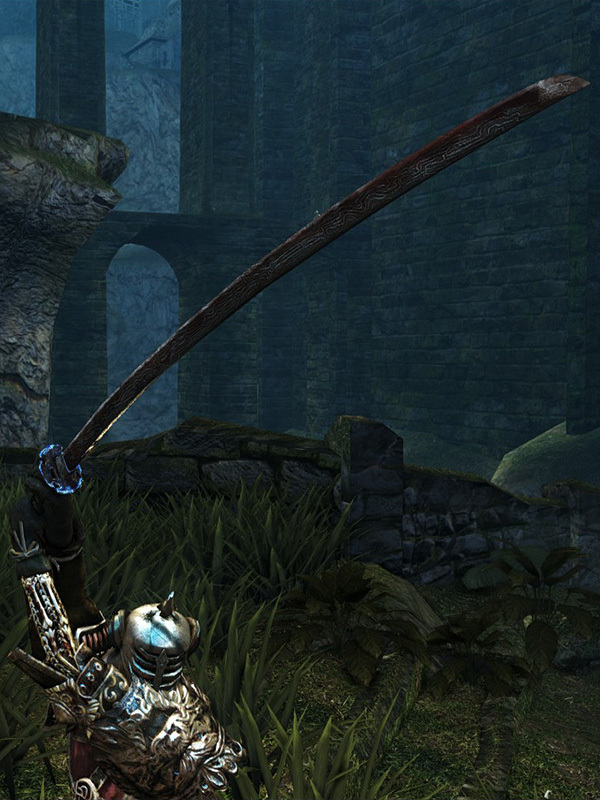 This weapon functions similarly to Hiltless from Demon's Souls. Shiva of the East was originally meant to betray the player, in the same fashion as Satsuki from Demon's Souls. Like Satsuki, who attacks you for the sword Makoto, Shiva was intended to steal the Chaos Blade from you.